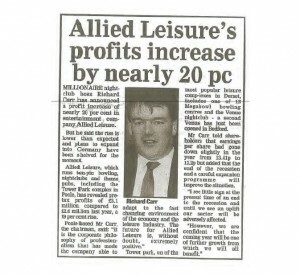 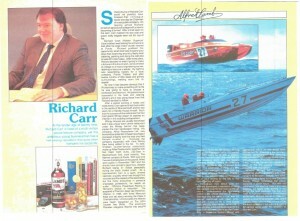 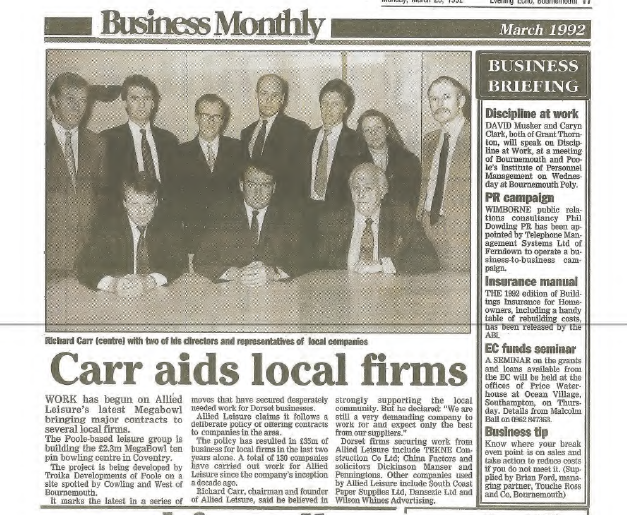 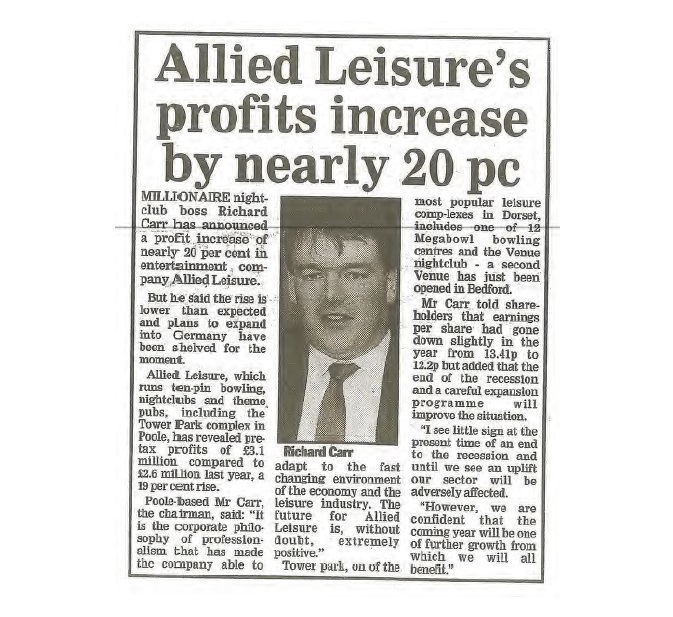 In the latest of our articles looking into the working career of Richard Carr, we look at a newspaper article highlighting the rise of one Carr’s first business ventures, Allied Leisure. 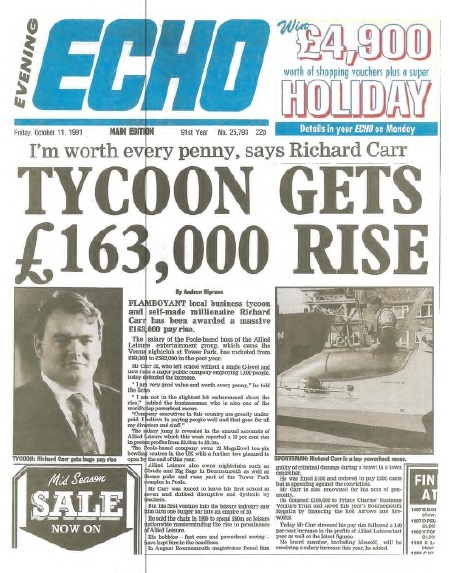 Richard Carr now operates as a commercial and residential development consultant for Jacob Carr Homes Ltd. 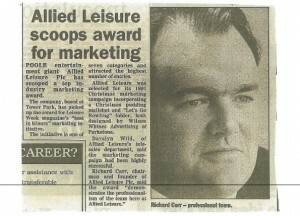 He uses his expertise and knowledge of the industry to achieve planning permission for his employer’s clients. 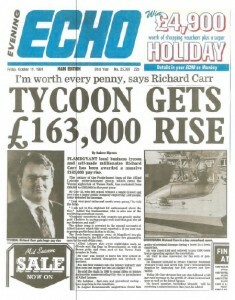 Examples of his planning grants can be found on his website under the ‘Development’ page. 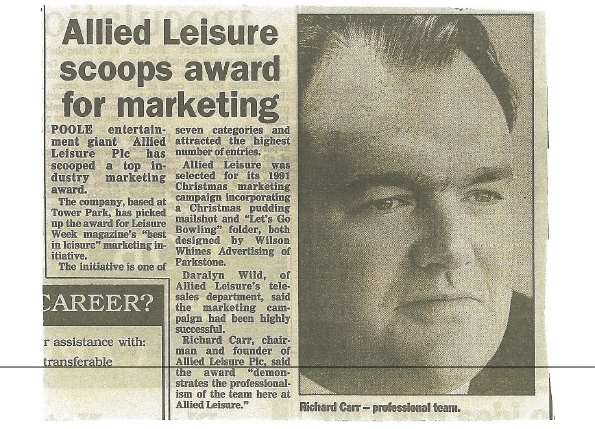 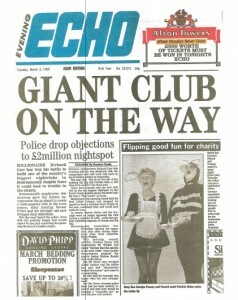 In the early 1990s, Carr was Chairman of Poole based Allied Leisure, a leisure business which comprised nightclubs, bowling alleys and fast food counter restaurants.